The seniors, through the SAC Committee, traveled to pay tribute to those who lost their lives in the tragedy on September 11, 2001. They journeyed to the Memorial Museum in Manhattan, where a private guide took them on escalators 70 feet underground to view the 9/11 artifacts. 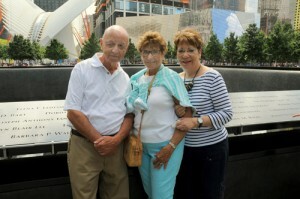 They also visited the sun-washed memorial pool with the engraved names of each of the 2,983 victims. After the tour, they stopped for an enjoyable lunch at 88 Palace in Chinatown. 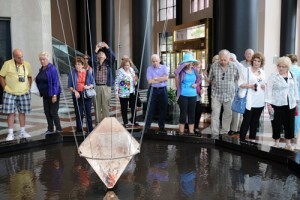 The trip had so many seniors on the wait list that another tour is being scheduled. Overall, the event ranked as one of the most successful trips ever taken by the Seniors Activities Committee.